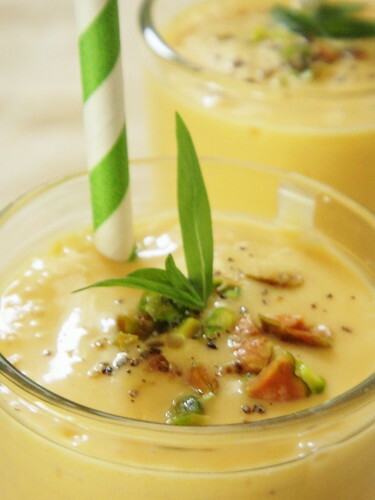 This gorgeous chilled delight is actually more of a dessert than a drink and you will probably need a spoon to finish it after you are done with the drinking part. 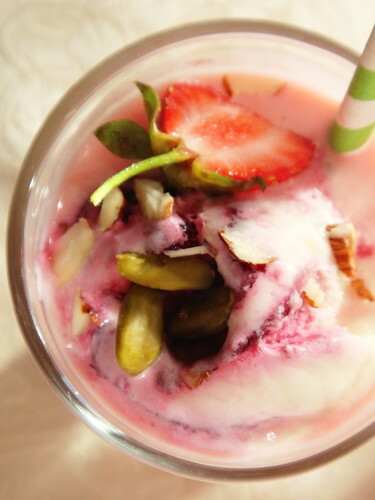 There are so many components that go in the making of falooda yet it is pretty simple to assemble once you have all your ingredients ready. 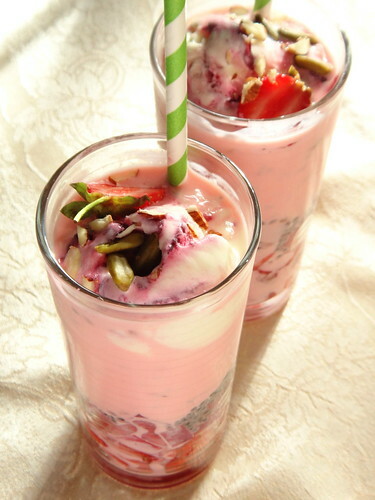 While it is believed to originate from Persia, falooda is now well known throughout the Asian subcontinent under different names. 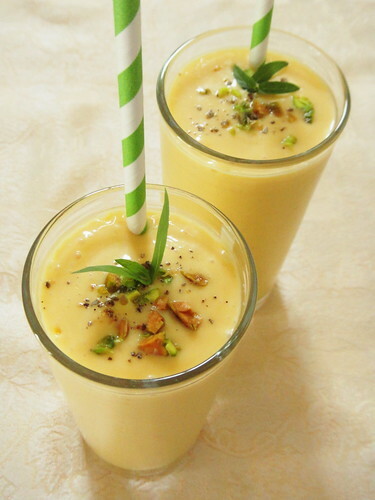 In Mauritius we enjoy it as alouda, a flavoured milk drink with toukmaria/basil seeds and la mousse/jelly. 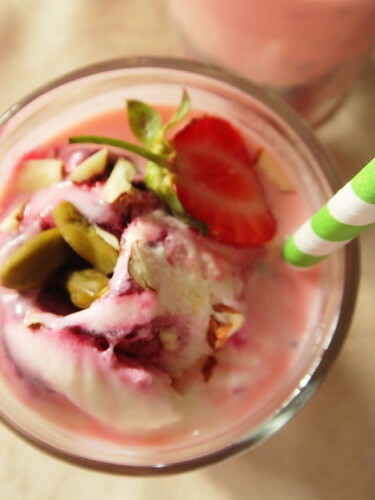 In addition to these, our refreshing strawberry falooda recipe from Sailu’s Food, is further enriched with chopped fresh fruit and falooda sev, topped with a scoop of boysenberry ice cream but you can try mango if berries are quite not your thing. 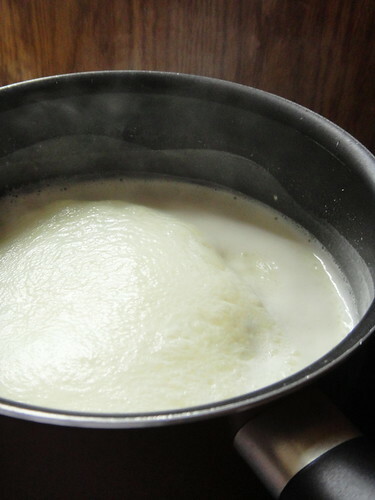 Bring milk to boil in a heavy based pan and simmer till it reduces to 1 1/2 cups. Remove from heat. Bring to room temperature. 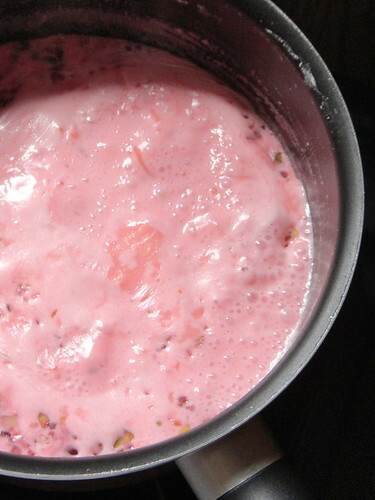 Add 1 1/2 to 2 tablespoons rose syrup to the milk, mix it well and chill. Make jelly as per packet instructions. Cool and refrigerate, then cut it into small cubes and set aside. 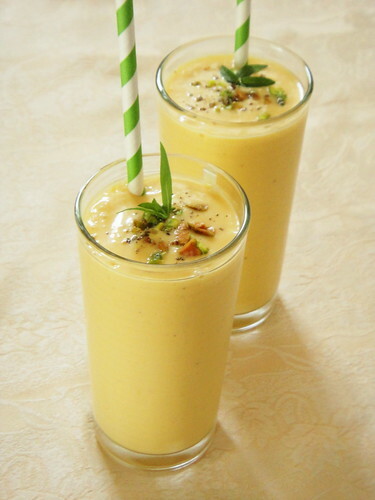 Make falooda sev as per the instructions on the packet. Place in cold water and refrigerate until use. 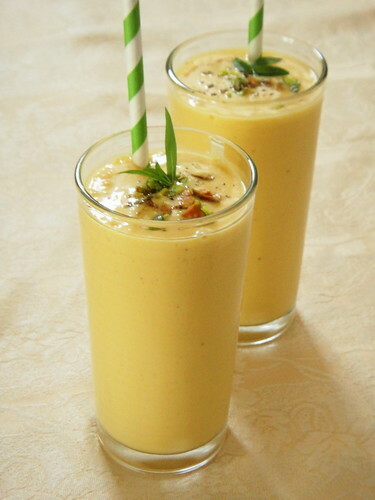 Falooda sev can be replaced with wheat vermicelli. 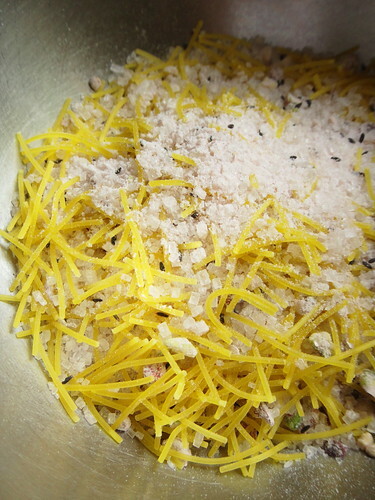 Cook vermicelli in water, drain and use as for sev. Soak the basil seeds in about 1/3 cup water for 20 to 30 minutes and allow them to bloom. Set aside. Chill serving glasses in the fridge for half an hour. 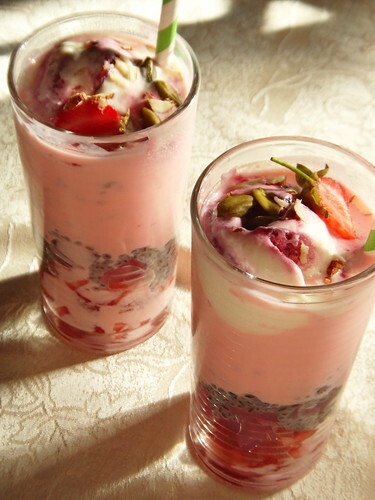 To assemble falooda, take the chilled serving glass. Add one generous tablespoon of rose syrup to each glass, then add 2 tablespoons of the jelly cubes. You may add fresh chopped fruit of your choice like mango or berries after layering with jelly cubes. 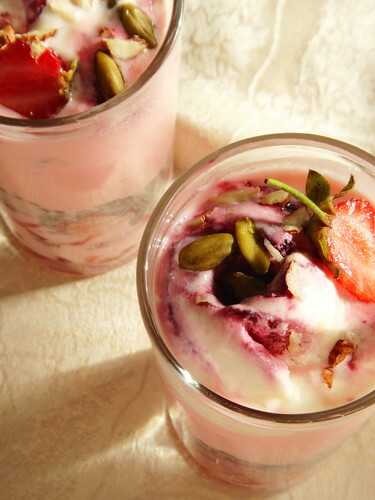 Add 2 heaped tablespoon of bloomed basil seeds over jelly and layer it with 1/4 cup of falooda sev. Slowly pour chilled rose milk till 3/4th of the glass. Next add two scoops of vanilla ice cream on top. Finally drizzle some rose syrup, garnish with sliced nuts and a cherry. Serve immediately. Serves 4-5. 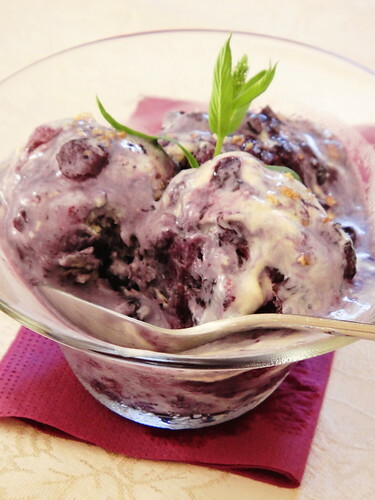 Though I have had several rewarding experiences making my own ice cream from scratch in my small SEB machine, I had yet to try making blueberry ice cream at home. 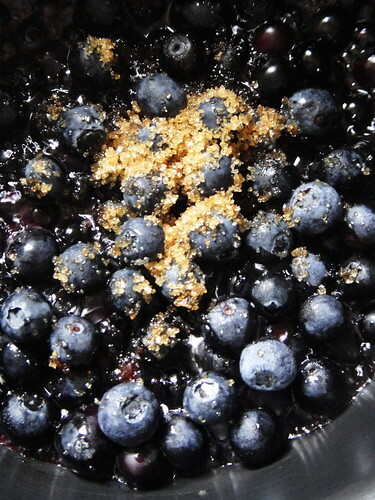 After browsing through a myriad of recipes online, this unusual combination of brown sugar and fresh blueberries, from Dinner with Julie, caught my eye. 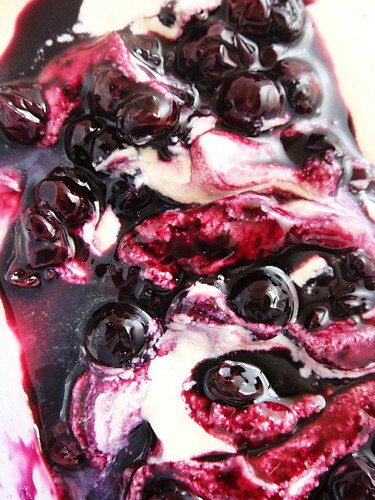 The basic technique remains that of making a custard based mixture into which the macerated berries are folded before going through the chilling process. Make sure you select berries that are ripe and firm; a good option would be to use frozen berries that get harvested when they are at the season’s peak. 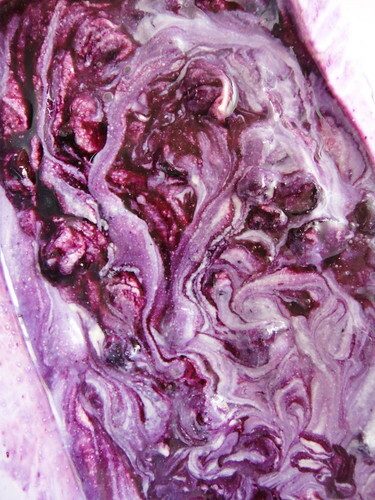 You may want to give a gentle swirl as you combine ice cream and berries together to create a marbled effect or you may be unable to resist turning the whole thing into a uniform shade ranging from delicate lilac to deep purple. 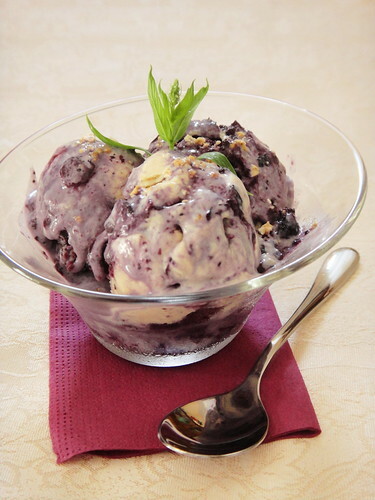 Both ways, you are going to enjoy some seriously good stuff, best served scooped into wafer cones, with a dash of blueberry sauce left at the bottom of your saucepan. In a saucepan, heat cream and milk until steaming. 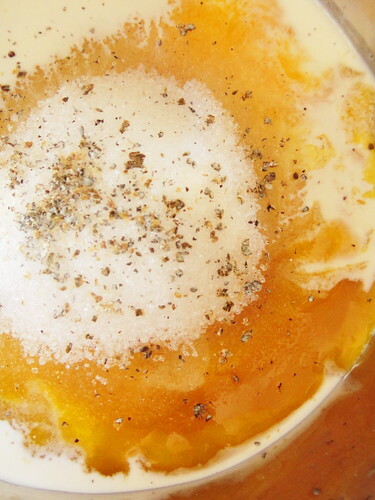 In a bowl, whisk together yolks, sugar and salt. 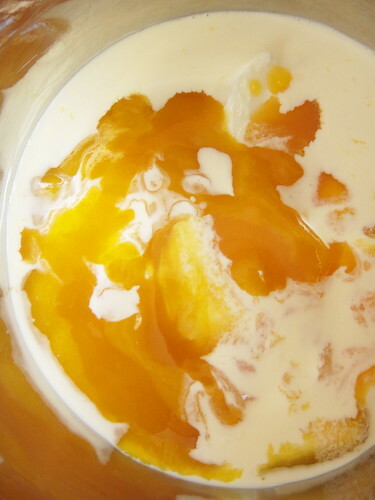 Pour some of the hot cream into egg yolk mixture, whisking constantly. Return the mixture to pan. Whisk constantly until it bubbles and thickens. Remove pan from the heat and stir in the bourbon. Scrape into a bowl, cover and refrigerate until well chilled. 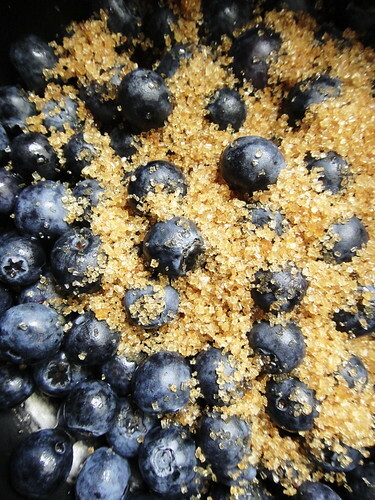 Heat blueberries, sugar and lemon juice. 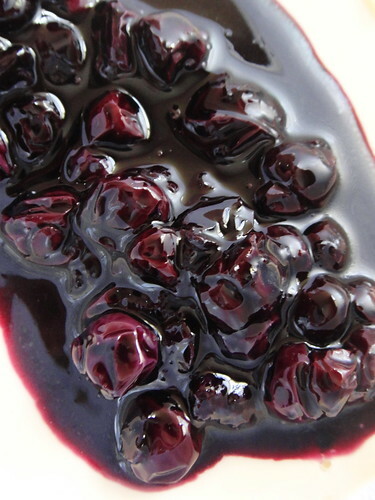 Cook berries in a medium skillet over medium-high heat, stirring, until the berries soften and burst. 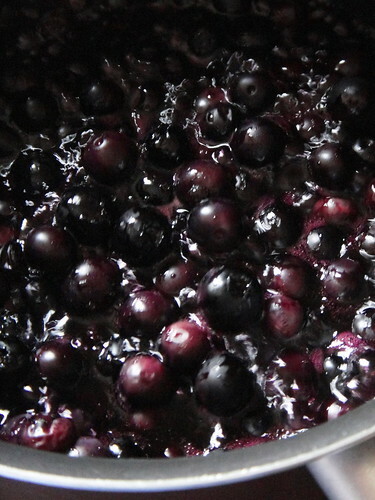 When fruit is soft and jam-like, remove from the heat, scrape into a bowl and refrigerate until chilled. Freeze the custard in an ice cream machine. 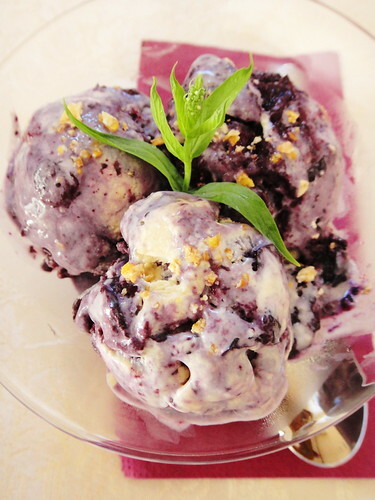 When ice cream is frozen but still soft, fold in the berries. Transfer the ice cream into a loaf pan and freeze until firm. 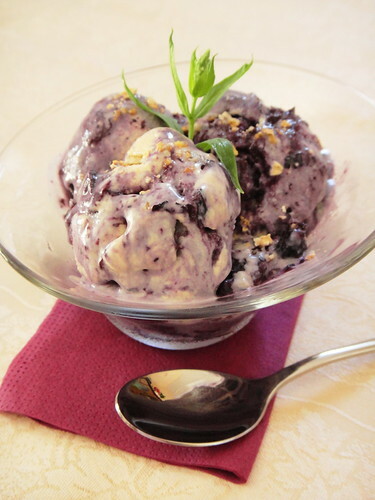 Makes about 3 cups blueberry ice cream.